Hurricane Frederic was an intense and damaging tropical cyclone that carved a path of damage from the Lesser Antilles to Quebec, in particular devastating areas of the United States Gulf Coast. Though only five were killed directly, the US$1.77 billion (equivalent to $4.8 billion in 2016) in damage accrued by Frederic made it the Atlantic basin's costliest tropical cyclone on record at the time. Prior to its final landfall, the threat that Frederic imposed on areas of the U.S. Gulf Coast triggered a mass exodus from the region larger than any other evacuation in the past. While the storm primarily impacted the U.S. states of Mississippi and Alabama, lesser effects were felt throughout the Greater and Lesser Antilles, as well as inland North America. Frederic developed from a tropical depression south of the Cape Verde Islands on August 28, 1979. [nb 1] Tracking at a steady clip westward, the primitive cyclone reached tropical storm intensity the next day. Favorable conditions in the open Atlantic allowed for Frederic to reach hurricane intensity on September 1. However, outflow from nearby Hurricane David began to inhibit further intensification and would continue to do so for roughly a week, weakening Frederic as it tracked across the Greater Antilles. The tropical cyclone nearly dissipated over Cuba before redeveloping on September 9 near the Isle of Youth. From then on, Frederic moved northwestward, intensifying to its peak intensity in the Gulf of Mexico with winds of 130 mph (210 km/h) on September 12, shortly before making landfall at Dauphin Island, Alabama just below the state line between Alabama and Mississippi. Over the United States, Frederic weakened for a final time before becoming extratropical in Pennsylvania on September 14 and dissipating the next day. Hurricane David was an extremely deadly hurricane which caused massive devastation and loss of life in the Dominican Republic in August 1979. A Cape Verde hurricane that reached Category 5 hurricane status on the Saffir-Simpson Hurricane Scale, David was the fourth named tropical cyclone, second hurricane, and first major hurricane of the 1979 Atlantic hurricane season, traversing through the Leeward Islands, Greater Antilles, and East Coast of the United States during late August and early September. David was the first hurricane to affect the Lesser Antilles since Hurricane Inez in 1966. With winds of 175 mph (280 km/h), David was the only storm of Category 5 intensity to make landfall on the Dominican Republic and the deadliest since the 1930 Dominican Republic Hurricane, San Zenon, killing over 2,000 people in its path. In addition, until Hurricane Maria in 2017, David was the deadliest Dominican tropical cyclone since the 1834 Padre Ruíz hurricane, which killed over 200 people. Cyclonic rotation or circulation is movement in the same direction as the Earth's rotation, as opposed to anticyclonic rotation. The Coriolis effect causes cyclonic rotation to be in a counterclockwise direction in the northern hemisphere, and clockwise in the southern hemisphere. A closed area of winds rotating cyclonically is known as a cyclone. The maximum sustained wind associated with a tropical cyclone is a common indicator of the intensity of the storm. Within a mature tropical cyclone, it is found within the eyewall at a distance defined as the radius of maximum wind, or RMW. Unlike gusts, the value of these winds are determined via their sampling and averaging the sampled results over a period of time. Wind measuring has been standardized globally to reflect the winds at 10 metres (33 ft) above the Earth's surface, and the maximum sustained wind represents the highest average wind over either a one-minute (US) or ten-minute time span, anywhere within the tropical cyclone. Surface winds are highly variable due to friction between the atmosphere and the Earth's surface, as well as near hills and mountains over land. 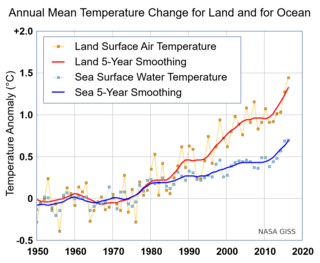 Sea surface temperature (SST) is the water temperature close to the ocean's surface. The exact meaning of surface varies according to the measurement method used, but it is between 1 millimetre (0.04 in) and 20 metres (70 ft) below the sea surface. Air masses in the Earth's atmosphere are highly modified by sea surface temperatures within a short distance of the shore. Localized areas of heavy snow can form in bands downwind of warm water bodies within an otherwise cold air mass. Warm sea surface temperatures are known to be a cause of tropical cyclogenesis over the Earth's oceans. Tropical cyclones can also cause a cool wake, due to turbulent mixing of the upper 30 metres (100 ft) of the ocean. SST changes diurnally, like the air above it, but to a lesser degree. There is less SST variation on breezy days than on calm days. In addition, ocean currents such as the Atlantic Multidecadal Oscillation (AMO), can effect SST's on multi-decadal time scales, a major impact results from the global thermohaline circulation, which affects average SST significantly throughout most of the world's oceans. An anticyclone is a weather phenomenon defined by the United States National Weather Service's glossary as "a large-scale circulation of winds around a central region of high atmospheric pressure, clockwise in the Northern Hemisphere, counterclockwise in the Southern Hemisphere". Effects of surface-based anticyclones include clearing skies as well as cooler, drier air. Fog can also form overnight within a region of higher pressure. Mid-tropospheric systems, such as the subtropical ridge, deflect tropical cyclones around their periphery and cause a temperature inversion inhibiting free convection near their center, building up surface-based haze under their base. Anticyclones aloft can form within warm core lows such as tropical cyclones, due to descending cool air from the backside of upper troughs such as polar highs, or from large scale sinking such as the subtropical ridge. The evolution of an anticyclone depends on a few variables such as its size, intensity, moist-convection, Coriolis force etc. The Dauphin Island Bridge was destroyed by Hurricane Frederic, making it only reachable by boat. Frederic made landfall at Dauphin Island, Alabama and continued across to a point on the Alabama/Mississippi state line near Bayou La Batre, Alabama. Near-total property damage occurred along the Alabama coastline between Fort Morgan and Gulf Shores, the latter seeing 80% of its buildings completely destroyed. The causeway linking Dauphin Island to the mainland was swept away in many areas. Alabama's second-largest city, Mobile, Alabama suffered extensive damage as well. Wind damage was also severe, especially across southern Alabama. Hurricane-force gusts were felt as far inland as Choctaw County. Structural failure was widespread in the immediate landfall area with industrial, residential and governmental buildings as well as hospitals suffering heavy damage. Nearly 90% of the Mobile area lost electricity, and the historic City Hall experienced heavy roof damage. Many small beach houses were completely destroyed by high winds before the storm surge could add any effects. Tree damage with broken limbs was extensive, leaving thousands of tall pine trees all tilted, leaning in the direction of the wind. 11 Alabama counties were declared disaster areas. Eleven counties in Alabama, 16 in Mississippi, and five in Florida were declared eligible for disaster aid. Prior to Hurricane Frederic, there was one condominium complex on Gulf Shores, Alabama. Most of the homes were single, individual homes built behind the sand dunes. Today, where there used to be one condominium, there are now at least 104 complexes – not units, complexes – on Gulf Shores, Alabama. Hurricanes David and Frederic were the first male hurricane names to be retired, as the practice of alternating male and female hurricane names was introduced in the 1979 season. The 1953 Atlantic hurricane season was the first time an organized list of female names was used to name Atlantic storms. It officially began on June 15, and lasted until November 15, although activity occurred both before and after the season's limits. The season was active with fourteen total storms, six of which developed into hurricanes; four of the hurricanes attained major hurricane status, or a Category 3 or greater on the Saffir-Simpson scale. The 1949 Atlantic hurricane season was the last season that tropical cyclones were not publicly labeled by the United States Weather Bureau. It officially began on June 15, and lasted until November 15. These dates conventionally delimit the period of each year when most tropical cyclones form in the Atlantic basin. The first storm, Hurricane One, developed north of the Lesser Antilles on August 21. The final system, Tropical Storm Sixteen, dissipated in the southwestern Caribbean Sea on November 5. It was a fairly active season, featuring 16 tropical storms and seven hurricanes. Two of these strengthened into major hurricanes, which are Category 3 or higher on the Saffir–Simpson hurricane wind scale. The 1928 Atlantic hurricane season featured the Okeechobee hurricane, which was second deadliest tropical cyclone in the history of the United States. Only eight tropical cyclones developed during the season. Of these eight tropical systems, seven of them intensified into a tropical storm and four further strengthened into hurricanes. 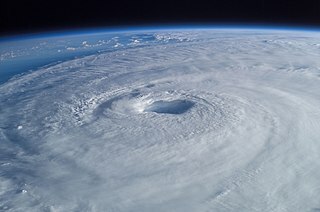 One hurricane deepened into a major hurricane, which is Category 3 or higher on the modern-day Saffir–Simpson hurricane wind scale. The first system, the Fort Pierce hurricane, developed near the Lesser Antilles on August 3. The storm crossed the Bahamas and made landfall in Florida. Two fatalities and approximately $235,000 in damage was reported. A few days after the first storm developed, the Haiti hurricane, formed near the southern Windward Islands on August 7. The storm went on to strike Haiti, Cuba, and Florida. This storm left about $2 million in damage and at least 210 deaths. Impacts from the third system are unknown. The 1910 Atlantic hurricane season was the period during the summer and fall of 1910 in which tropical cyclones formed in the North Atlantic Ocean. The season was fairly inactive, with only five storms; however, three grew into hurricanes and one became a major hurricane. The season got off to a late start with the formation of a tropical storm in the Caribbean Sea on August 23. September saw two storms, and the final tropical cyclone—Hurricane Five—existed during October. All but one of the storms made landfall, and the only cyclone which remained at sea had some effects on the island of Bermuda. The 1895 Atlantic hurricane season ran through the summer and the first half of fall in 1895. The season was a fairly inactive one, with 6 storms forming, only 2 of which became hurricanes. The 1889 Atlantic hurricane season ran through the summer and the first half of fall in 1889. In the 1889 Atlantic season there were nine tropical storms and six hurricanes. However, due to scarce technology and the fact that only storms that affected populated land or ships were recorded, the actual total could be higher. The decade of the 1810s featured the 1810–19 Atlantic hurricane seasons. 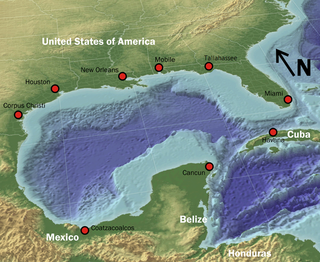 While data is not available for every storm that occurred, some parts of the coastline were populated enough to give data of hurricane occurrences. Each season was an ongoing event in the annual cycle of tropical cyclone formation in the Atlantic basin. Most tropical cyclone formation occurs between June 1 and November 30. 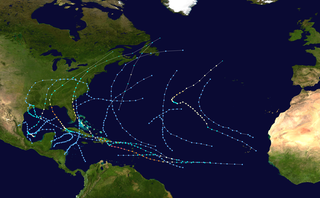 The decade of the 1800s featured the 1800–09 Atlantic hurricane seasons. While data is not available for every storm that occurred, some parts of the coastline were populated enough to give data of hurricane occurrences. Each season was an ongoing event in the annual cycle of tropical cyclone formation in the Atlantic basin. Most tropical cyclone formation occurs between June 1 and November 30. The 1917 Nueva Gerona hurricane was the most intense tropical cyclone to strike the Florida Panhandle until Hurricane Opal in 1995. The eighth tropical cyclone and fourth tropical storm of the season, this system was identified as a tropical storm east of the Lesser Antilles on September 20. After crossing the Lesser Antilles, the system entered the Caribbean Sea and achieved hurricane intensity on September 21. After becoming a Category 2 hurricane, the storm struck the northern coast of Jamaica on September 23. Early on September 25, the cyclone reached Category 4 status and attained maximum sustained winds of 150 mph (240 km/h) soon thereafter. 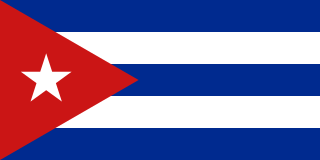 Later that day, the hurricane made landfall in eastern Pinar del Río Province, Cuba. The system entered the Gulf of Mexico shortly thereafter and weakened slightly. Recurving to the northeast, the hurricane briefly threatened Louisiana before turning toward Florida. Early on September 29, the hurricane made landfall near Fort Walton Beach, Florida, with winds of 115 mph (185 km/h). Once over land, the cyclone rapidly weakened and transitioned into an extratropical cyclone before dissipating on September 30. The 1851 Atlantic hurricane season was the first Atlantic hurricane season to be included in the official Atlantic tropical cyclone record. Six known tropical cyclones occurred during the season, the earliest of which formed on June 25 and the latest of which dissipated on October 19. These dates fall within the range of most Atlantic tropical cyclone activity. None of the cyclones existed simultaneously with another. Of the six storms, two only have a single point in their track known. The 1852 Atlantic hurricane season was one of only three Atlantic hurricane seasons in which every known tropical cyclone attained hurricane status. Five tropical cyclones were reported during the season, which lasted from late August through the middle of October; these dates fall within the range of most Atlantic tropical cyclone activity, and none of the cyclones coexisted with another. Though there were officially five tropical cyclones in the season, hurricane scholar Michael Chenoweth assessed two of the cyclones as being the same storm. There may have been other unconfirmed tropical cyclones during the season, as meteorologist Christopher Landsea estimated that up to six storms were missed each year from the official database; this estimate was due to small tropical cyclone size, sparse ship reports, and relatively unpopulated coastlines. Hurricane Baker was a Category 2 hurricane that affected the Leeward Islands, Greater Antilles, and the Gulf Coast of the United States. The tropical cyclone was the second tropical storm and second hurricane of the 1950 Atlantic hurricane season. Originating as a tropical depression east of the Windward Islands on August 18, Baker became a tropical storm on August 19, and further intensified into a hurricane on August 21. It attained an initial peak intensity with maximum sustained winds of 100 mph (155 km/h) on August 22 before weakening to a tropical storm as it made landfall on the island of Antigua. Baker weakened to a tropical depression late on August 23 while southwest of Puerto Rico. By the following morning, it had restrengthened into a tropical storm, though a landfall in Cuba caused it to weaken once again. Entering the Gulf of Mexico, Baker began to strengthen once more, regaining hurricane strength on August 29 and reaching its peak intensity with maximum sustained winds of 105 mph (165 km/h) early the following day. The cyclone weakened before making its final landfall in the United States near Gulf Shores, Alabama, with winds of 85 mph (140 km/h). Hurricane Baker produced extensive damage in the Lesser Antilles and Cuba, but impacts were minimal in the United States. 1 2 "Prepare for Homegrown Hurricanes". southalabama.edu. May 31, 2016. Retrieved 2018-01-26. 1 2 3 4 5 6 7 8 9 10 11 12 13 14 15 16 17 18 19 20 21 Hebert, Paul J. (March 26, 1980). "Atlantic Hurricane Season of 1979" (PDF). Monthly Weather Review. Miami, Florida: American Meteorological Society. 108 (7): 973–990. Bibcode:1980MWRv..108..973H. doi:10.1175/1520-0493(1980)108<0973:AHSO>2.0.CO;2. Archived from the original (PDF) on January 4, 2011. Retrieved June 27, 2014. 1 2 3 4 5 6 7 8 9 10 11 12 13 14 "Atlantic hurricane best track (HURDAT version 2)". Hurricane Research Division (Database). National Hurricane Center. May 1, 2018. Retrieved February 11, 2019. ↑ Goldenburg, Stan (June 1, 2014). "A3) What is a super-typhoon? What is a major hurricane? What is an intense hurricane?". Frequently Asked Questions (FAQ). 4.7. United States National Oceanic and Atmospheric Administration's Atlantic Oceanographic and Meteorological Laboratory. Archived from the original on June 15, 2006. Retrieved June 27, 2014. ↑ Landsea, Chris (June 1, 2014). "E23) What is the complete list of continental U.S. landfalling hurricanes?". Frequently Asked Questions (FAQ). 4.7. United States National Oceanic and Atmospheric Administration's Atlantic Oceanographic and Meteorological Laboratory. Archived from the original on June 15, 2006. Retrieved June 27, 2014. 1 2 Environment Canada (September 14, 2010). "1979-Frederic". Canadian Storm Impact Summaries. Government of Canada. Retrieved 27 June 2014. ↑ Wilson, Steve (September 3, 1979). "Islands Dazed By David Now Await Hurricane Frederic". Sarasota Herald-Tribune. 54 (335). Sarasota, Florida. Associated Press. p. 4A. Retrieved 27 June 2014. 1 2 "Frederic slows to a tropical storm". St. Petersburg Times. 96 (42). St. Petersburg, Florida. United Press International. September 4, 1979. p. 6A. Retrieved 27 June 2014. 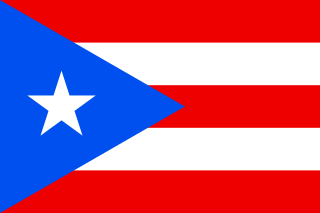 1 2 3 4 5 "Downgraded Frederic Perils Puerto Rico With High Water". Sarasota Herald-Tribune. 54 (337). Sarasota, Florida. United Press International. September 5, 1979. p. 8A. Retrieved 27 June 2014. ↑ "Frederic hampers rescue work". The Ledger. 73 (315). Lakeland, Florida. The New York Times. September 3, 1979. p. 1A. Retrieved 27 June 2014. 1 2 "'Poor Cousin' Moves On". The Palm Beach Post. 71 (147). West Palm Beach, Florida. Post Wire Services. September 4, 1979. p. 1. Retrieved 27 June 2014. 1 2 "Frederic Brings More Rain". Daytona Beach Morning Journal. 54 (213). Daytona Beach, Florida. Associated Press. September 5, 1979. p. 2A. Retrieved 27 June 2014. 1 2 "Tropical Storm Frederic heads to Puerto Rico". The Byran Times. 31 (208). Bryan, Ohio. United Press International. September 4, 1979. p. 1. Retrieved 27 June 2014. ↑ "Frederic dumps heavy rains on islands, loses strength". The Ledger. 73 (318). Lakeland, Florida. Associated Press. September 6, 1979. p. 13A. Retrieved 27 June 2014. 1 2 3 National Hurricane Center. Hurricane Frederic Watches & Warnings (GIF). Hurricane Frederic Preliminary Report (Report). Miami, Florida: United States National Oceanic and Atmospheric Administration. p. 5. Retrieved 27 June 2014. ↑ "Frederic Could Threaten South Florida". Sarasota Herald-Tribune. 54 (341). Sarasota, Florida. United Press International. September 9, 1979. p. A1. Retrieved 27 June 2014. 1 2 Dietz, John (September 11, 1979). "Florida Alerted As Frederic Hits Hurricane Force". Sarasota Herald-Tribune. 54 (343). Sarasota, Florida. p. 1A. Retrieved 28 June 2014. ↑ "Frederic Becomes A Hurricane Again". Observer-Reporter. 172 (79214). Washington, Pennsylvania. Associated Press. September 11, 1979. p. D4. Retrieved 28 June 2014. 1 2 "Hurricane Frederic Hits Guadeloupe, Small Islands". Observer-Reporter. 172 (79208). Washington, Pennsylvania. Associated Press. September 4, 1979. p. A2. Retrieved 27 June 2014. ↑ "Storm Frederic hits Virgin Islands". The Miami News. Miami, Florida. September 4, 1979. p. 4A. Retrieved 27 June 2014. 1 2 3 4 National Climatic Data Center (September 1979). "Storm Data – September 1979" (PDF). Storm Data. 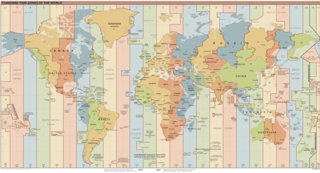 Asheville, North Carolina: United States National Oceanic and Atmospheric Administration. 21 (9). Archived from the original (PDF) on June 27, 2014. Retrieved June 27, 2014. 1 2 Roth, David M; Hydrometeorological Prediction Center. 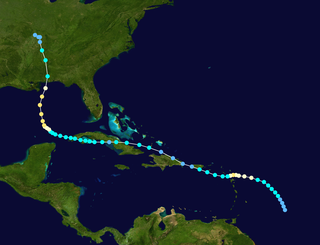 "Hurricane Frederic – September 3–14, 1979". Tropical Cyclone Point Maxima. United States National Oceanic and Atmospheric Administration's National Weather Service. Retrieved 27 June 2014. ↑ "Frederic soaks Hispaniola". Boca Raton News. 24 (238). Boca Raton, Florida. Associated Press. September 6, 1979. p. 3A. Retrieved 27 June 2014. ↑ Walker, John R. (September 24, 1979). "Cuba: First grandiose plans, now grubby reality". 202. 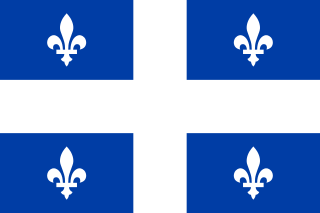 Montreal, Quebec. Southam News. p. 9. Retrieved 27 June 2014. ↑ National Centre For Seismological Research. "Evaluating Risks From Natural Disasters: Cuba" (PDF). Global South-South Development Academy. Retrieved 27 June 2014. ↑ "Florida braces for big storm". Ottawa Citizen. Ottawa, Ontario. United Press International. September 10, 1979. p. 50. Retrieved 28 June 2014. 1 2 3 United States Hurricanes. "Hurricane Frederic 1979". Archived from the original on 2006-12-30. Retrieved October 12, 2006. ↑ National Hurricane Center (1979). "NHC Preliminary Report — Hurricane Frederic (1979) Page 3" . Retrieved October 12, 2006. ↑ "Hurricane gains added strength". The Citizen. Ottawa, Ontario. United Press International. September 11, 1979. p. 82. Retrieved 28 June 2014. ↑ "Frederic hurricane again; Keys told to keep watch". The Ledger. 73 (323). Lakeland, Florida. Associated Press. September 11, 1979. pp. 1A, 7A. Retrieved 28 June 2014. ↑ NOAA. "Frederic path & landfall" . Retrieved 2 September 2017. ↑ NOAA (March 22, 2006). "National Weather Service Forecast Office (Birmingham, AL) - Top 10 Weather Events in the 21st Century For Alabama". Archived from the original on March 3, 2008. Retrieved October 8, 2006. ↑ WKRG.com. "Frederic in Mississippi". Wikimedia Commons has media related to Hurricane Frederic . Hurricane Frederic from the United States Hurricanes website.